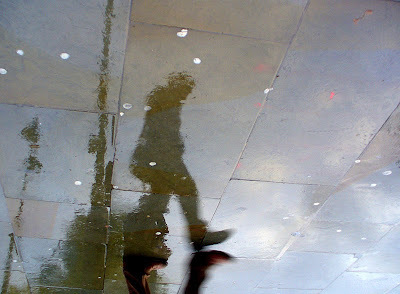 I've added some more recent photos to the Under (Trafalgar Square) series. You can see which are the newer ones - same place, a year later: much paler light. Oops, I guess I really didn't have to add my own tiny bit last week to the bad news quotient. The fact is, putting things into words is my major coping mechanism. I don't do it for sympathy (though kindness never-ever-ever goes amiss - thank you! ), but hoping someone will think 'you put that well'. 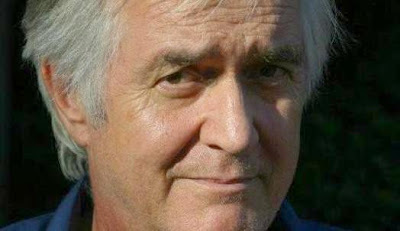 The English translation of Henning Mankell's novel, The Man from Beijing, will be published shortly in the UK so he was interviewed this week on the Radio 4 Open Book programme. There was, inevitably, the clichéd question about 'Swedish melancholy'. No, he's not a melancholy type, rather the opposite, though all-too aware that we live in terrible times and wishing to reflect this in his work. The small melancholy he does acknowledge, he said, in himself and in his long-term character Kurt Wallander is the awareness, surely, of everyone in their 50s and 60s that our main life choices have been made, for good or ill, and the paths not taken will largely remain that way. Oh, the stream of horror and nonsense that comes out of the radio, and suddenly a gentle, eloquent voice that wryly murmers something simple, personal and true! This was the best thing I've heard for ages, apart from Dave Bonta's superb podcasts - which have already become something to look forward to on Mondays. So, yet again I blame myself for feeling tired, not wanting to get out of bed this morning. What a wimp. If I had the self-discipline to organise my life better, eat better, exercise more systematically, I wouldn't be so tired. Self-blame is tiring in itself, so doesn't help. And then I think, good grief! The recent death that was close to me haunts me, in my face - how to accept it? And then there are the similarly unjust deaths and suffering of all the ungraspable thousands in Haiti. In all our faces too, via the media, though distanced by screens, machines, both distanced and brought close by the words and lenses of others. Just a bit tiring, no? Cruel, and anyway impossible, to say the closer suffering is enough, we'd be better off not knowing about distant suffering. But what am I meant to do with this? Give money, of course, and demand that my government spends a reasonable proportion of taxation revenue on emergency aid and longer-term cooperation. (What's a reasonable amount? Well, we're so far short of even the minimal internationally agreed lowest-common-denominator target, there's perhaps no need to ponder that right now!) Then what? Doing that won't make me feel better, any more than a much-needed donation to the hospice will make me feel better about C's death. Why should I feel better? I've no right to feel better, privileged and healthy as I am, says the self-blaming voice. Life today, in the knowledge, sight and sound of pain and suffering everywhere, is no way softer, easier than life in the simple villages of yore, small worlds with slow travel and no media. Assuming they had enough to eat (a very big assumption), life today is surely more difficult than life in such a village. Life today demands the impossible, that we are moved by all of this and that we carry on, straight-faced, hard-working, as if unmoved. But this is going nowhere! Be mindful, of the moment as well as the age, of the subtle as well as the gross, of the smile as well as the scream. Have compassion, for self as well as others. All this I know, and can only try to know more deeply. I veer ever closer to Buddhism because its twin tenets of mindfulness and compassion are the only things that have ever helped. (I was going to add beauty, art, but not, come to think of it, in themselves -there too, it's the being mindful). watching this video of Kate McGarrigle, who died yesterday. Hell of a week. So much joy listening to her singing, for more than 30 years. Oh. The snow is melting, almost clear this morning after heavy rain, and there’s a mirror-image process in myself. A break from work usually means travel, so the diversion of a new, or at least less familiar, place stops me plunging deep into the realisation of my own aimlessness and loneliness. This time, I didn’t go away, spent two weeks alone at home – needed the rest, but struggled with the void. It’s taken a while to see a way out of the resultant fog, but I am, helped no doubt by a rested body. At the centre of the void, at the bottom of the hole, there isn’t nothing, but whatever’s rooted in the heart and survives on its own camel-hump: dreams, beauty, words and the astonishingly determined life-force that close-to-atheists like me cannot explain, but still experience. The life-force is never stronger than in the face of death, and the death of a friend this week – not less raw and unbelievable for being long expected – makes me feel very sad, but very alive. So, I guess it’s 'Onward! ', as a buddhist monk I know is wont to say with alarming ferocity. This may be blank for a while. Blank and exhausted from the cold - just putting one foot in front of the other, maintaining daily life, is harder. But also something new is brewing, probably back on Typepad since I'm sick of Blogger's technical vagaries. A blank slate, as Natalie implies, is often a positive space for innovation. On Thinkbuddha, a typically lucid and provoking piece on the relationship between meditation, awareness and knowledge. And a beguiling essay by Professor Lisa Jardine on some ways in which the electronic reader can't replace the printed book. In the most persistent cold and snow and ice for many years, I shiver, more from fear than cold. How quickly the extra anxiety and loss of routine undermine me! I fear a fall on the ice, knowing that, alone in my upstairs flat, I would not cope with a broken arm or leg. I fear not getting in to work (only one day so far), lest the workload escape my hard-won control. I watch the fear swell, cradle it, stroke it and settle it down like a wailing infant - for now, not overwhelming. Frozen as the snow, too stiff, I am too easily unbalanced. At least, if snowed in, I have plenty to read, having just embarked on 2666. I've been saving for now this ancient Chinese buddha that I photographed last May in the Shanghai Art Museum. Buddhist and Christian iconographies are so different in general, so I was surprised and moved by this carving which reminded me of nothing so much as a romanesque madonna flanked by saints. So here s/he is - a sweet, timeless interfaith symbol of goodwill for the new year.